At the heart of everything I do is my desire to always aid people with the knowledge and skills I have learned and intuitively coach and nurture them to be their best self in a safe and healing environment. To have people share their most intimate thoughts and sit in their vulnerability is awe inspiring and takes tremendous strength and courage as i have learned on my own healing journey, which strengthens with each and every day and allows me to shine my light. In 2007 after attending private energy sessions with Donna, Marisa decided to begin training in Reiki. Donna introduced her to Caroline and she trained with Caroline to become an Earth Light Master Teacher. 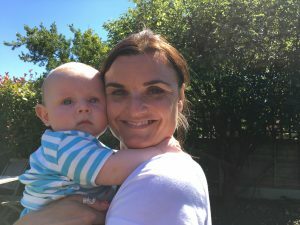 Feeling a connection with both Caroline and Donna, Marisa was inspired by their creation of Reiki Babies and felt extremely privileged to be invited to share their vision of working with Mamas and Babies. Marisa continued her studies and trained as a massage therapist, following her passion for all things natural she began making natural skin care products. Recognising that however empowering and transformational the Earth Light Reiki can be she needed to incorporate a practical approach to provide her clients with a balanced, professional and empathic skill set. She went on to train as a Clinical and Cognitive Behavioural Hypnotherapist which enabled her to work with many adults and children empowering them to improve their lives, through building self esteem and confidence, utilising many tools such as mindfulness, meditation and various other coping strategies. Marisa also offer Twin Flame Soul Healing, Whole Heart Healing and a meditation technique working with Geometric shape. All of her many skills and talents fit beautifully with Ascending Angels and Reiki Babies. She has connected again with Caroline to empower their clients right from preconception and nurture them through the first few years of Mama and Babies lives. Marisa lives with her partner and 2 children in Bexley, Kent where she provides private treatments and sessions. If you would like to arrange an appointment with Marisa please contact her marisa@reikibabies.co.uk.